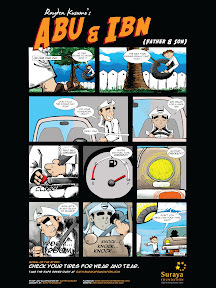 Suraya Foundation has released a series of comics to spread the message of road safety in a fun way. 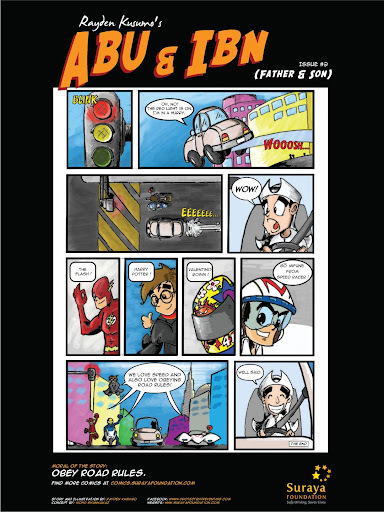 These comics will expand on each of the Road Safety Oath principles. Rayden Kusumo, an aspiring local illustrator provided his skills and talent for the benefit of road safety. Please support local artists and let provide the encouragement and feedback. Rayden Kusumo can be reached at rayden.kusumo@surayafoundation.com . Please spread the comics to friends and families and it could be downloaded for free. Click the thumbnails to expand.